Seat belt cutter. Red alarm/emergency light. 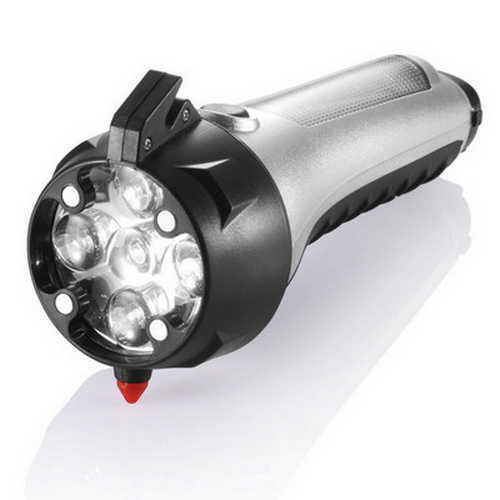 LED Dyno torch. Emergency car glass hammer. Magnetic head. Charging cable. Product Size: 90 x 185 x 68mm. Product Packing: Boxed. Decoration Size: 40 x 8mm. Decoration Position: Side of Torch. Decoration Method: Pad Print. Carton Quantities: 50. Carton Size: 81 x 40 x 24. Carton Weight: 14. Colour: Silver/Black. Price includes: See drop down menu for decoration options.